My long weekend of catsitting is coming to an end today, so I decided I needed to do a posting on Queso, the youngest member of the cat trio. 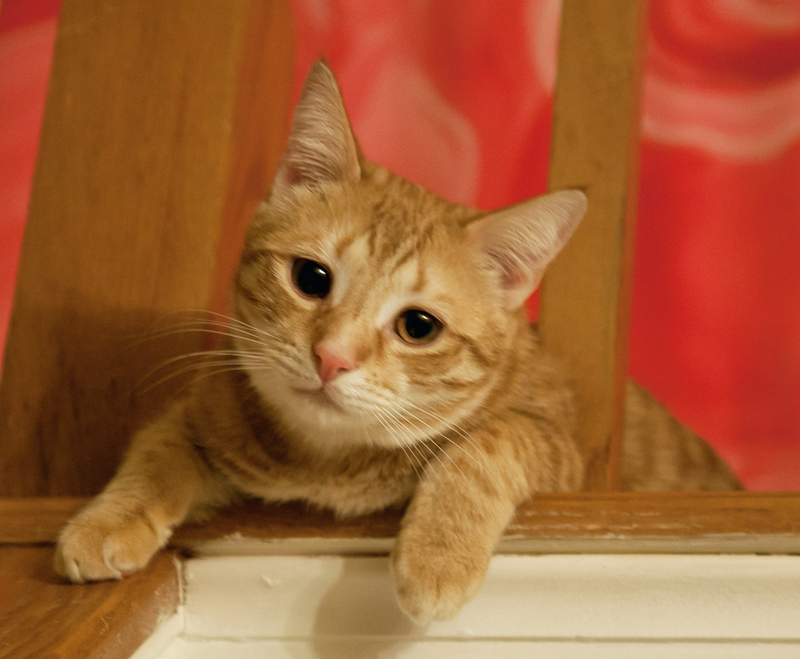 Queso is still a kitten and is full of energy and curiosity. He loves to antagonize his two older “brothers” and will sometimes pounce on them when they least expect it. Cindy Dyer and her husband Michael rescued Queso when they found him abandoned in the bushes outside of a Mexican restaurant. 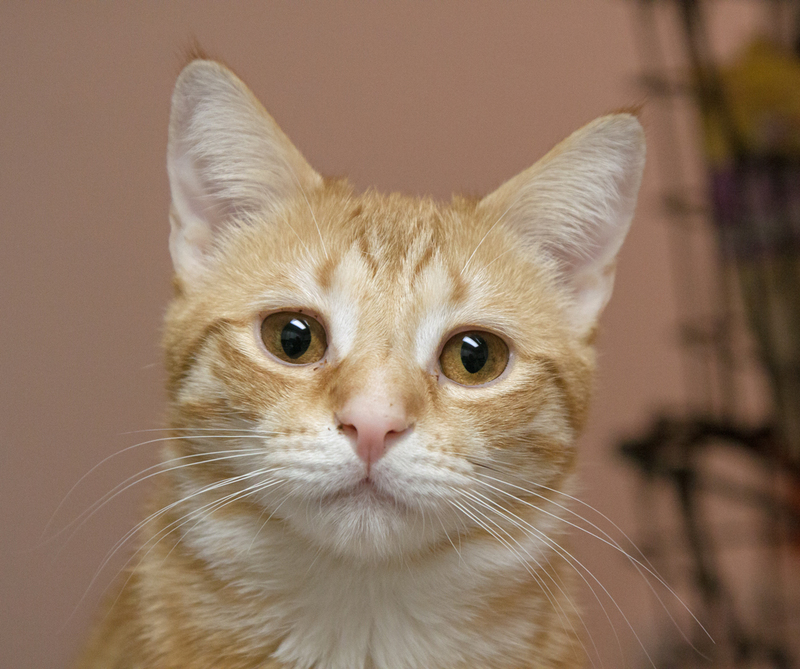 That initial experience and his orange-yellow fur caused them to name him Queso. Tomorrow (or possibly later today), I’ll be back to my more typical wildlife and nature photos. It’s been a fun challenge this past weekend to shoot “wild” animals in an indoor setting with available light. Lobo has always seemed exotic and mysterious to me, with piercing eyes that look like they could hypnotize me if I stare into them too long. 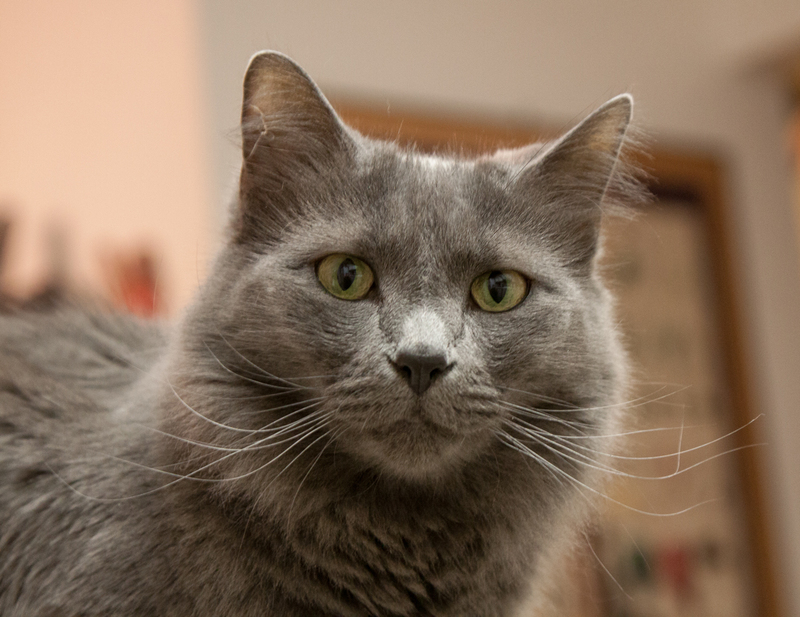 I am catsitting for the weekend, which means that I have three new subjects to photograph. 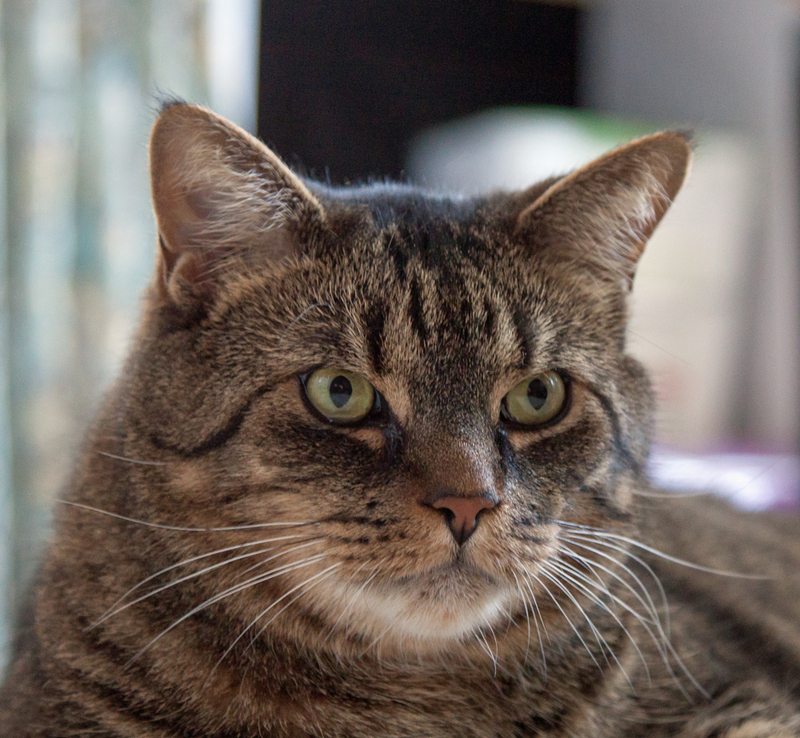 The cats all have distinctive personalities, so I decided to post photos of them separately. 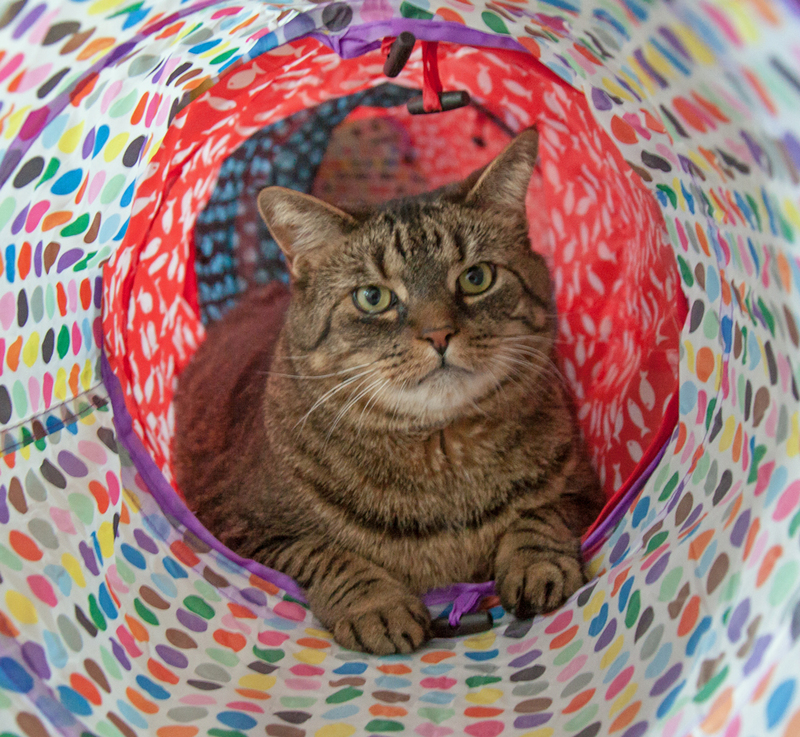 Only a photographer and graphic designer like my dear friend and mentor Cindy Dyer would name a cat “Pixel.” Of the three cats, Pixel is generally the most sedentary. 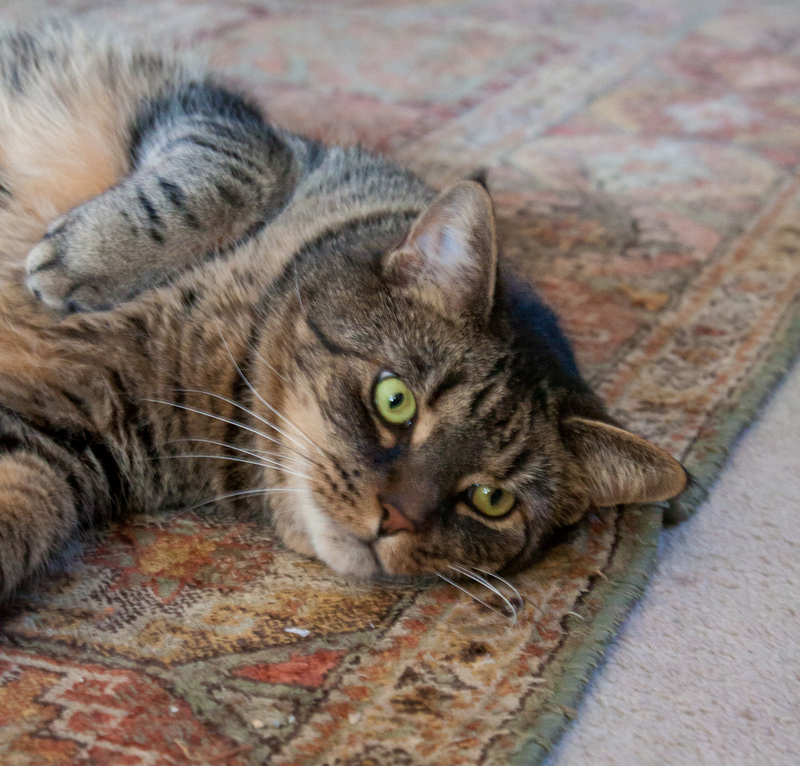 He loves to sprawl out on the carpet when he is not eating. He loves to ear and was starting to turn into a Mega-Pixel before he was put on a diet. Here are a few shots of Pixel from yesterday that capture some of his different moods. I took them indoors using available light with my Canon 24-105mm lens, a lens that I rarely use when photographing wildlife. How do you generate volume when you sing? 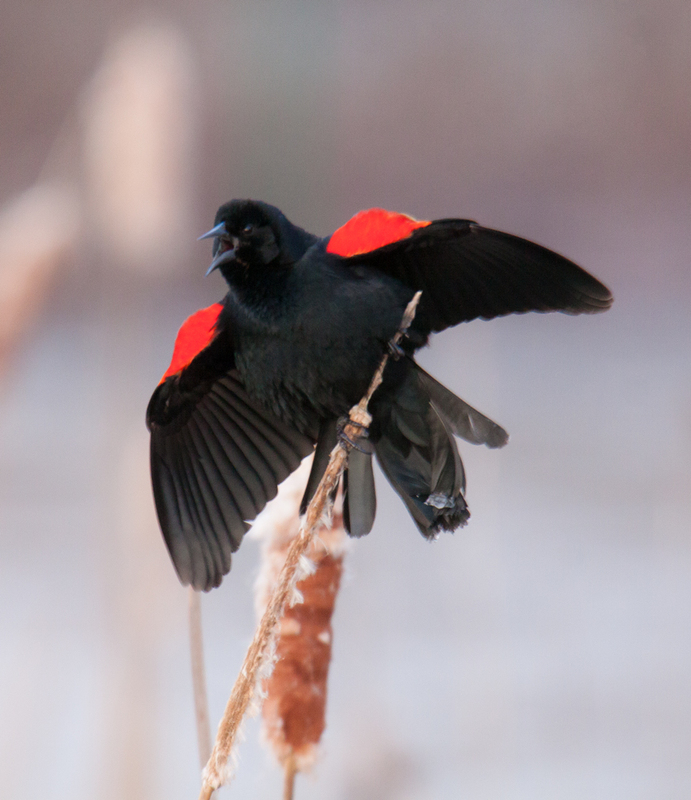 I remember being told to breathe from the diaphragm, but this male Red-winged Blackbird (Agelaius phoeniceus) seemed to think that spreading his wings helped him to be heard yesterday morning at Huntley Meadows Park. 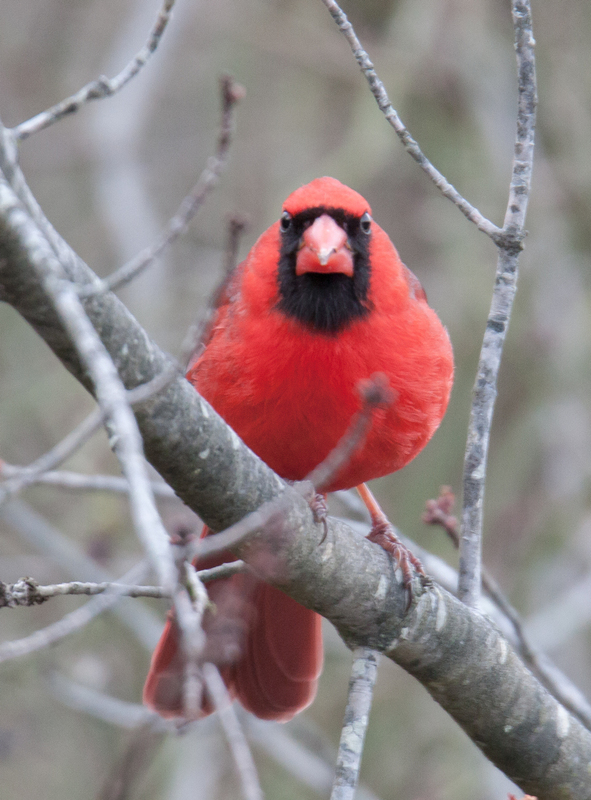 I don’t know if this male Northern Cardinal (Cardinalis cardinalis) qualifies as an “angry bird,” but he sure did not seem happy to see me this morning at Huntley Meadows Park. Maybe he was cold and hungry or got off on the wrong side of the bed this morning. In any case, I couldn’t coax a smile out of him. 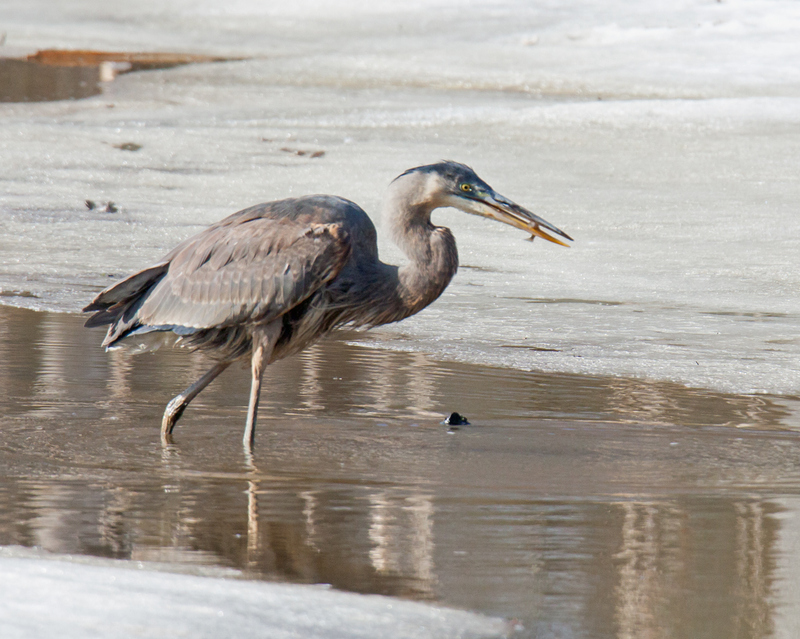 Sometimes a Great Blue Heron’s catch is big enough for a main course, but sometimes it’s only an appetizer. 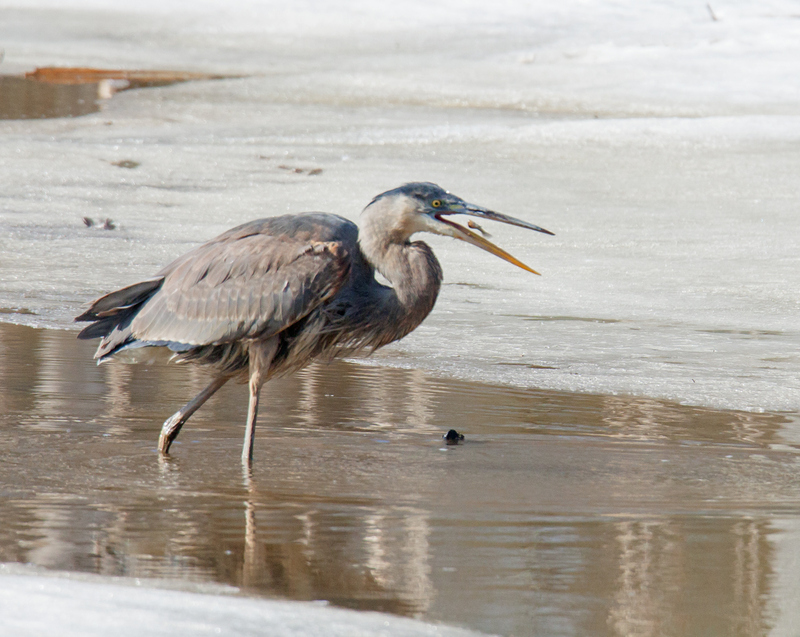 The good news is that appetizers are really easy for a Great Blue Heron (Ardea herodias) to swallow. I included the second photo, which sequentially was taken before the first one, because I like the expression on the heron’s face. The heron seems to be both amused and embarrassed at the small size of the fish. It’s obvious, though, that the heron does not have a catch-and-release policy if the fish is not of a certain minimum size. 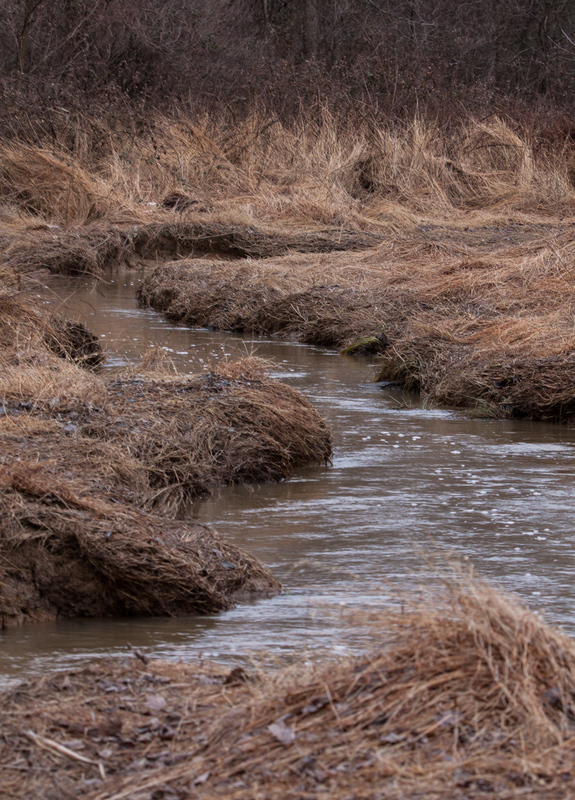 I love to wander through remote areas of Huntley Meadows Park, often following meandering streams. Each time is different, as the level of the water, the varying light, and the changing vegetation alter my perceptions of the landscape. 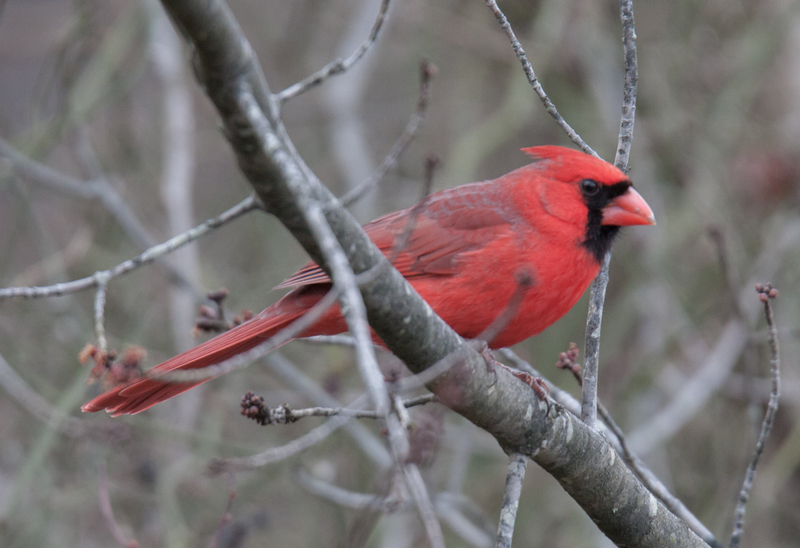 The park is a freshwater wetland of over 1500 acres with meadows, ponds, streams, and woods that provide a habitat for the wide range of insects, birds, and animals that I often feature on this blog. I am always conscious of the beauty of my surroundings, but generally have either a telephoto zoom or a macro lens on my camera, so photographing the landscape is not something that I do very often. I was drawn to the twists and turns of this section of one of my favorite streams after a significant rainfall earlier this month. It was relatively early in the morning and there were still shadows in some areas. I captured some images of the scene with the “short” end of my 150-600mm lens and this is my favorite of the group. I definitely need to work more on visualizing landscape shots, but am happy with this initial effort.